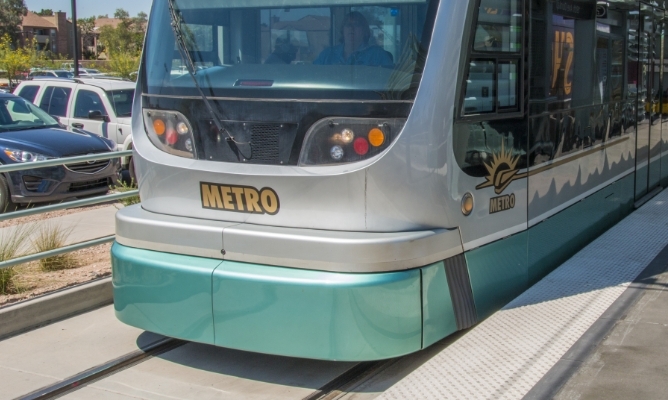 TekWay® ADA Dome Tiles are ideal for all mass transit applications and meet all Federal ADA standards with a wide selection of sizes and colors to fit any job. TekWay’s Architectural Series guarantees the perfect tile for any project. Radius, Wedge, Brick Patterns, and more—all in a customizable range of Federal & Natural Colors. 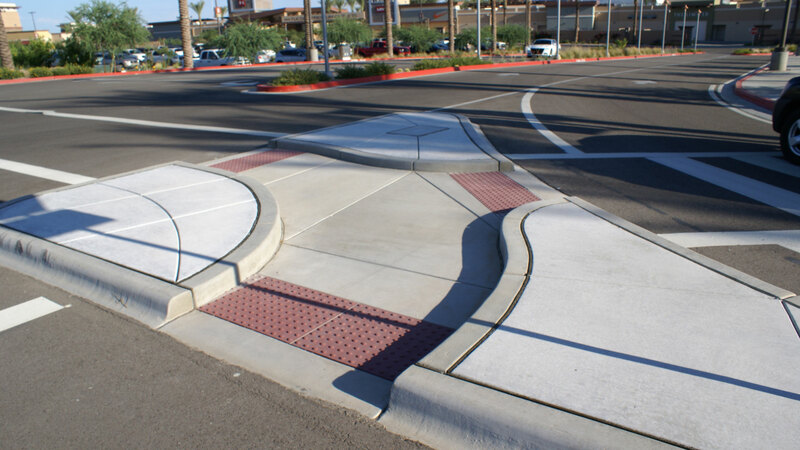 Durable and reliable over the lifetime of the project, TekWay ADA Dectectable Warnings can be manufactured to achieve the specific needs of your sidewalk or curb ramp. Since 2004, TekWay has been producing reliable ADA Dome Tile solutions to create the perfect balance of functionality, durability, and aesthetics. Through nano-engineering of the TekWay ADA products and a proven installation process, StrongGo delivers the best performing ADA system today.  StrongGo Industries is a company devoted to the ongoing research, development, and manufacturing of products that have been formulated to possess outstanding physical, chemical and mechanical properties. Sidewalks are the lifeline for all pedestrians in any municipality. Sidewalks last for many years as should the detectable warning dome tiles. 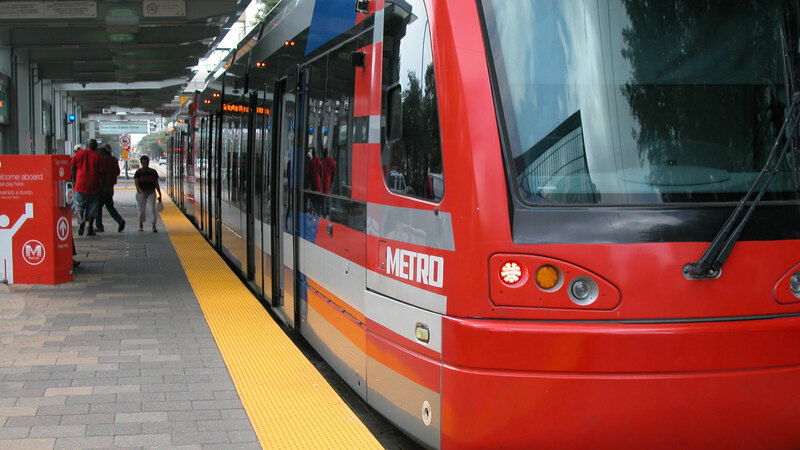 Bus, rail, and streetcar platforms are all unique unto themselves. We make a full line of straight or bull-nose dome tiles, pre-warning strips, Directional and Navigational tiles. The challenge is to create new products for customers while working within the guidelines of local municipalities the ADA requirements. TekWay ADA Dome solutions for all detectable warning applications. 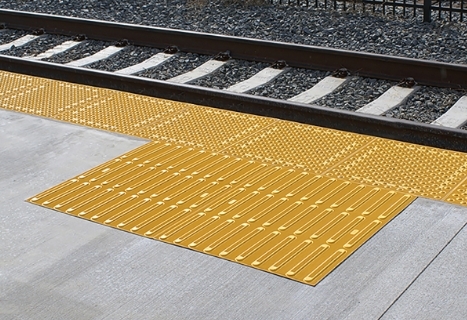 To prepare for current and future Mass Transit projects, designers must select specialized ADA compliant Detectable Warning tiles that will withstand the severe stresses created by high volumes of foot traffic & mobility devices at the platform edge. Tekway® High-Performance ADA Dome Tiles are a proven system that meets specifications long after they are installed. 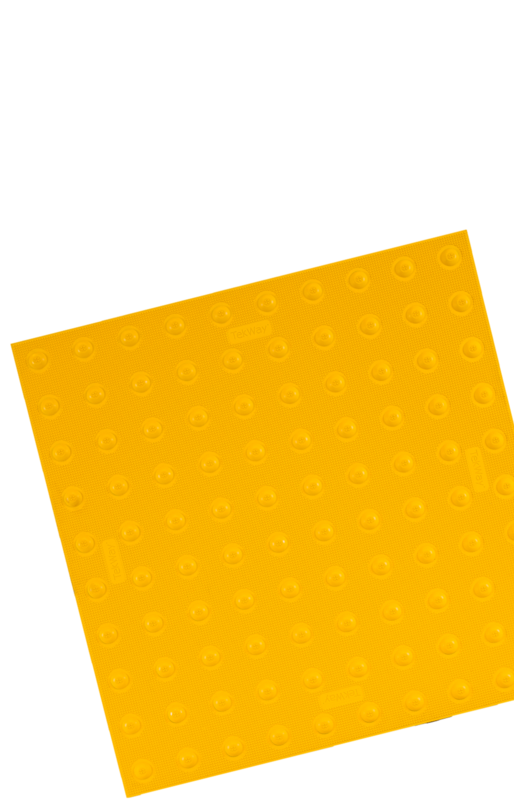 Our detectable warnings are designed to withstand inclement weather as well as heavy foot traffic as experienced on curb ramps. Even occasional car traffic is not an issue for TekWay ADA Systems. Commercial buildings and developments often have unique requirements, from customizable sizes and shapes to different colors. TekWay can tailor its products to fit any needs, providing lasting durability and aesthetics. All stadiums and sporting facilities are required to be ADA accessible. 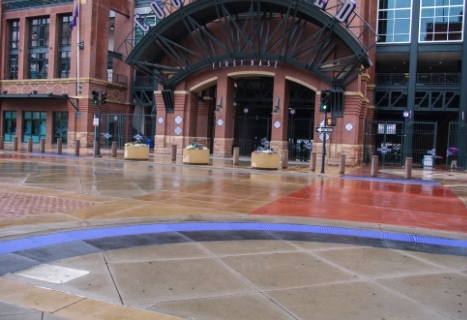 TekWay can customize your ADA dome tiles to complement the surrounding sidewalks and curb ramps with your favorite home team’s colors. These domes will maintain the same level of durability and withstand the expected high pedestrian traffic. Earning a college degree is a challenge for anyone. Now, add into the equation the need to be able to navigate through the college campus to your classes. Just as tools are needed in every other occupation, detectable warning devices are used to assist those with low vision to travel safely around institutions without the fear of being injured. Public accommodations like Parks and recreational spaces are designed to be a safe place for enjoying the outdoors. Local and national government officials are required to plan for people with disabilities and to adhere to ADA regulations. 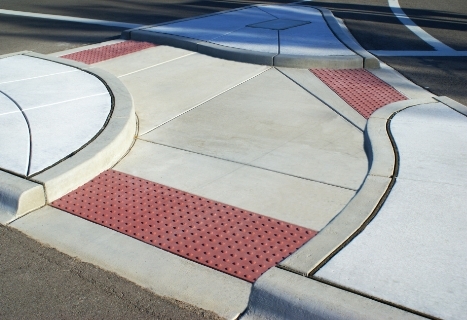 Part of the ADA regulations requires the use of detectable warning tiles to be used as a navigational tool for those with low vision. Airports have constant foot, vehicle, and baggage traffic, and maintaining compliance in such a busy area can be challenging. TekWay ADA systems are the total solution for this type of environment.